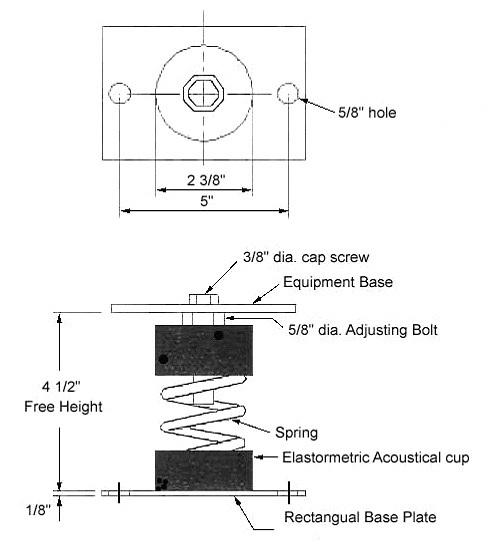 RCA or RCB series spring mounts are unhoused laterally stable steel springs contained in molded neoprene acoustical cups (weld free construction) with a levelling bolt assembly. These springs can be supplied with a base plate if required to be bolted to floor. These spring mounts are recommended where both horizontal and vertical stability are required. They are used for vibration and noise control applications such as pumps, centrifugal fans, air handling units and air compressors.